You are here: Home / FREEbies / FREE Sample of Flexitol Heel Balm! 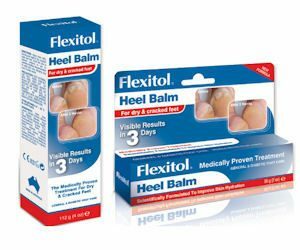 Get a FREE Sample of Flexitol Heel Balm!! Just head over here to complete the form to receive your FREE sample! Flexitol Heel Balm is a super-concentrated moisturizer and exfoliator that is clinically proven to soften and repair rough, dry, and cracked feet!